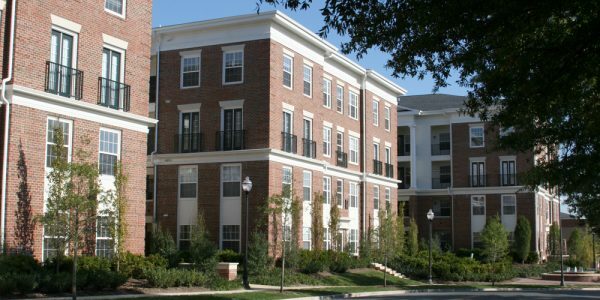 GLW was brought in to provide engineering and surveying services to redevelop a big box retail site in the City of Gaithersburg into a “Texas doughnut style” up-scale multi-family residential building with first floor retail surrounding a multi-story above-ground shared parking structure. 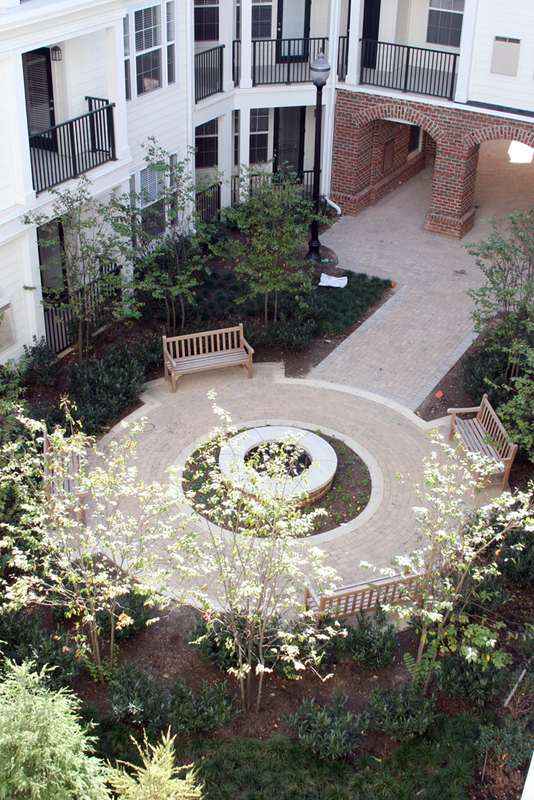 The existing site was an expanse of open asphalt that did not fit well with the surrounding Kentlands planned community. 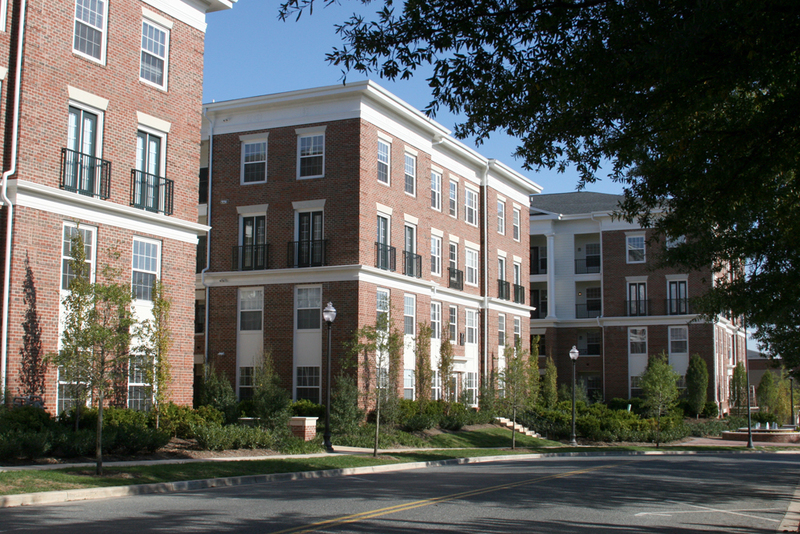 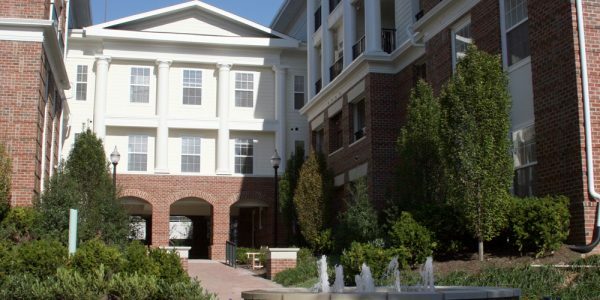 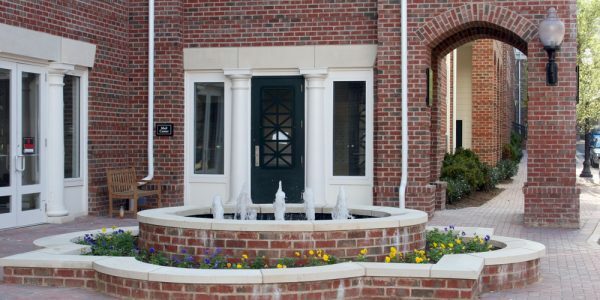 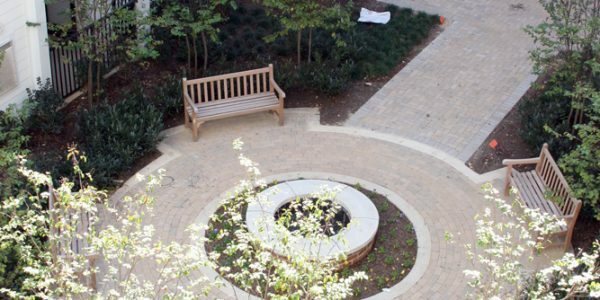 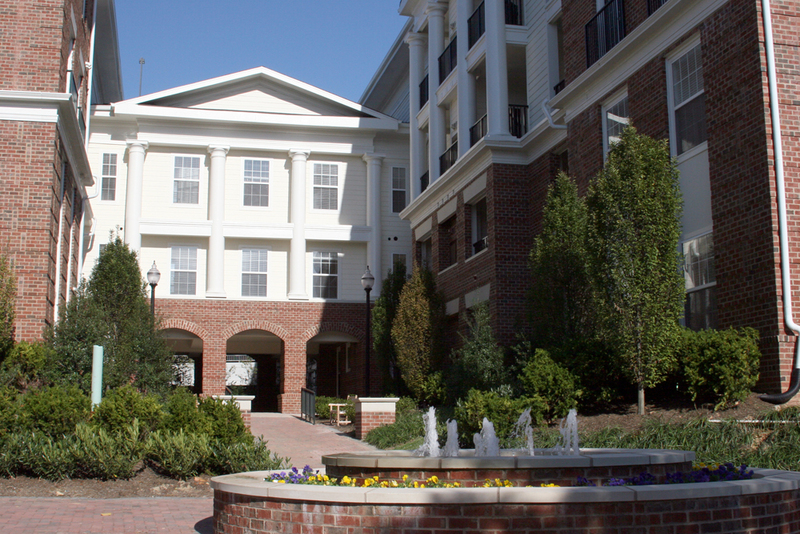 City of Gaithersburg required design guidelines that resulted in Kentlands being a walkable community with traditional architecture and features such as porches close to the street, narrow, pedestrian-oriented tree-lined boulevards, and sidewalks constructed with special pavers rather than concrete. 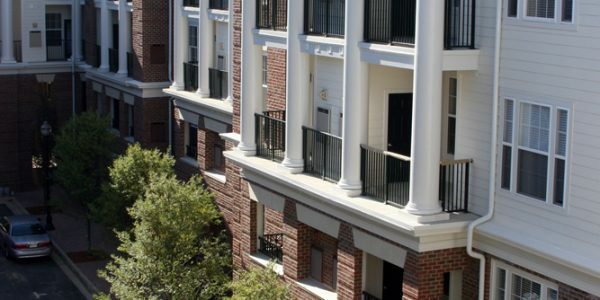 Narrow street widths challenged engineers to meet fire safety requirements and design utilities, easements and rights-of-way within a limited area. 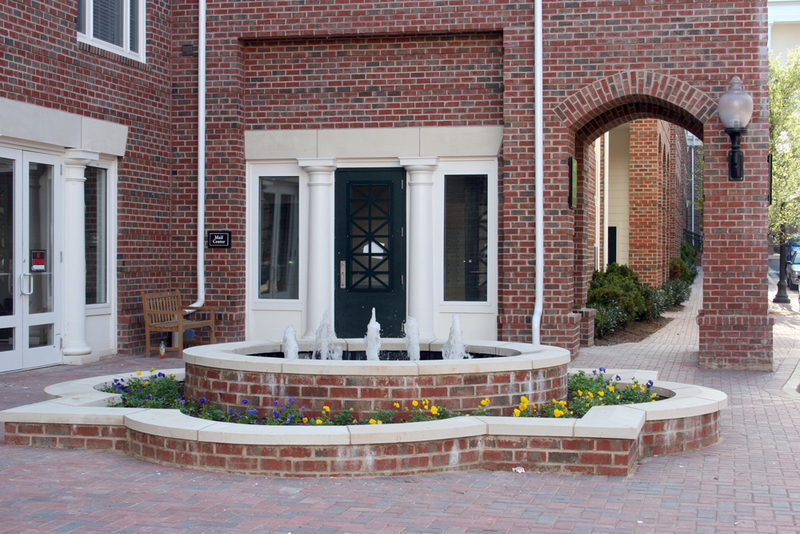 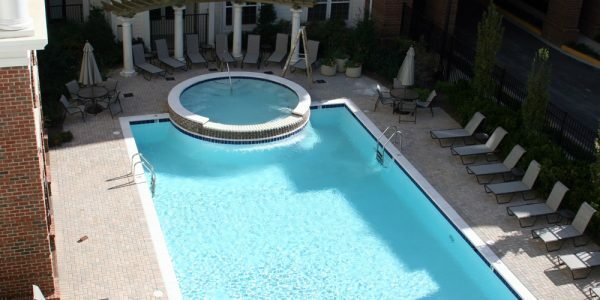 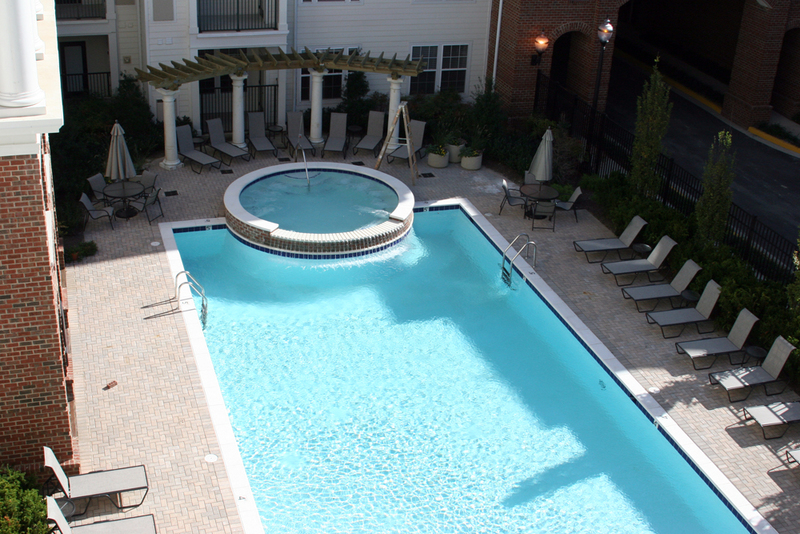 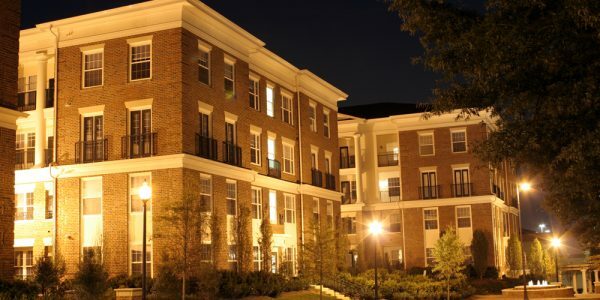 The architects of the multi-family building design created open archways through the building which provided the opportunity to design an efficient and cost-saving main trunk sewer through rather than around the building. 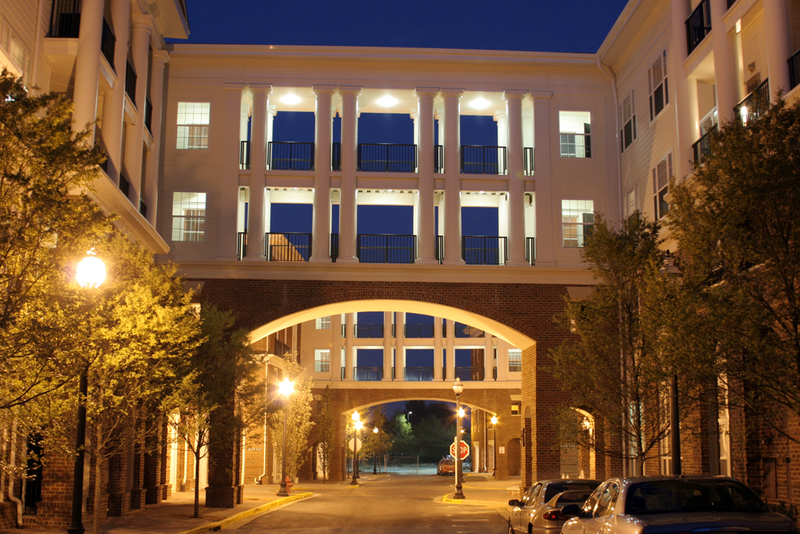 GLW engineers worked closely with WSSC personnel to satisfy vertical clearance necessary in the archways to allow for maintenance of the sewer. 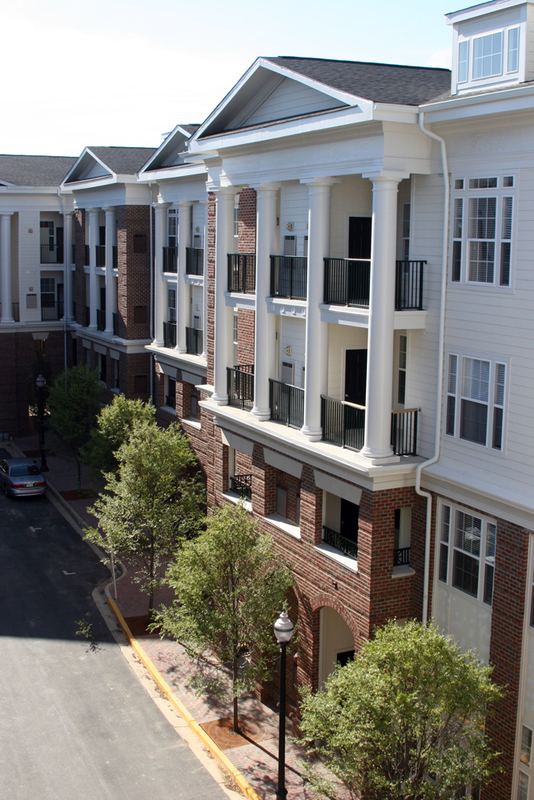 Through careful planning and detailed coordination with various design professionals meeting fire truck circulation and multiple utility service requirements within narrow streets was accomplished. 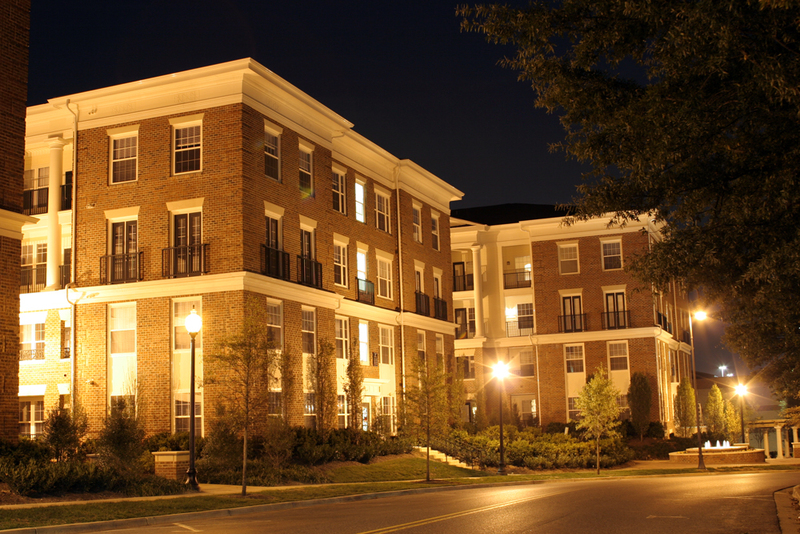 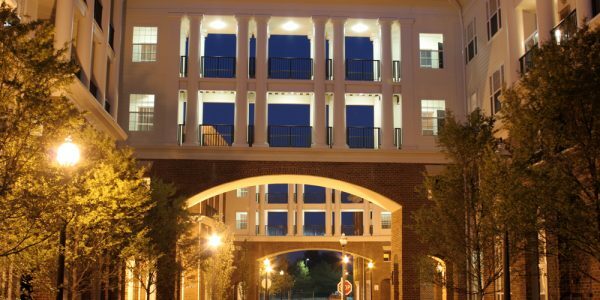 The project’s second phase included extending the Kentlands’ style boulevard through to a redevelopment of a restaurant pad site into an office building incorporating the same architectural treatment style.